GBPUSD is testing that the resistance of the upper trend line of the triangle pattern on the 4-hour chart. 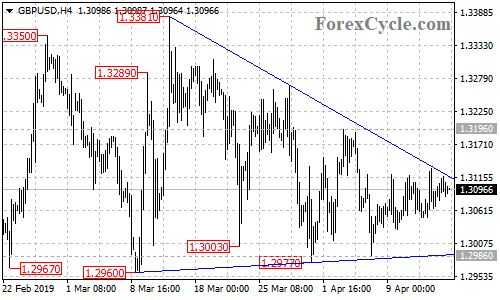 A breakout of the this trend line could trigger further upside movement to 1.3400 area. Key support is at 1.2960, a breakdown below this level could take the price to 1.2800 area.